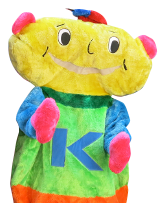 This is an online form for Kspace Parent & Child Membership and Classes. Parents will be asked to read general school policies and sign them separately for other required services or programmes, as booked. - Each purchased block of tickets lasts one calendar month. If a parent begins mid-month they can buy singles for the remainder of the current month, plus one block for the next month in advance. - After the calendar month that you buy the blocks for has elapsed you cannot use any of your unused tickets, have them in lieu of other services, or get a refund. -If you book a class and cannot attend for sickness etc, you must please call Kspace in advance to cancel. - Make-up classes are offered at the discretion of the School. If there is time left within the month of your block, and if there are spaces in the class, the School will offer make-ups. Any make-ups will be lost once the new month begins. - Some special classes may require an addition to the regular session ticket: Highlights and parties e.g. special classes that are advertised for Christmas, Easter, Valentine's etc. These classes have no make-up option if booked and unattended.